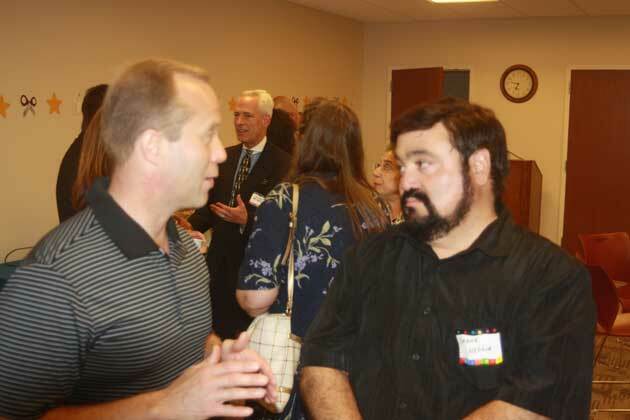 The Board of Directors of the Parsippany-Troy Hills Public Library hosted a “Meet and Greet” with Parsippany’s new Superintendent of Schools, Scott Rixford on Monday, July 28. 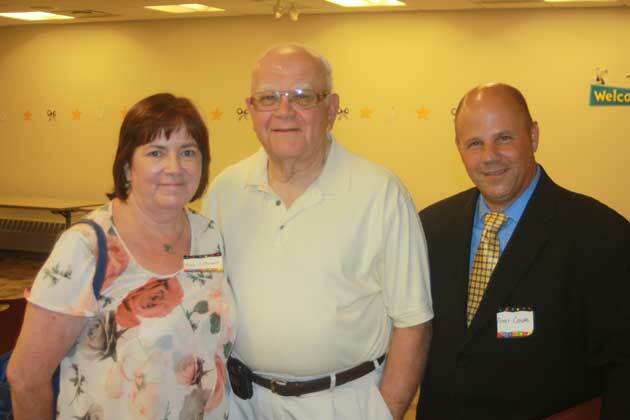 The room was filled with residents, dignitaries, members of the Board of Trustees, Parsippany Area Chamber members, Rotary Club, Kiwanis Club, Woman’s Club as well as members of the public. The occasion was to just meet and talk to Scott Rixford on a social level. Speeches were very short leaving plenty of time to chat with Scott. 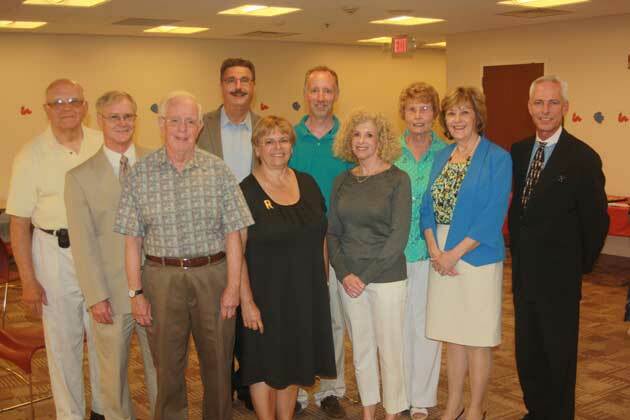 Scott joined the Parsippany Board of Education on July 1. 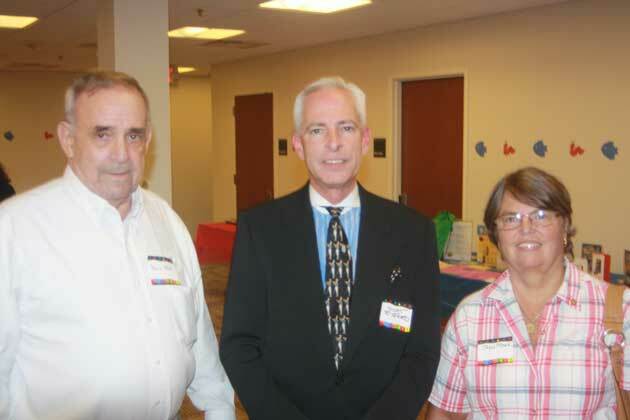 Attending the event was Parsippany-Troy Hills School Board President Fran Orthwein, former Mayor Joseph Weisberg (and current Library Director Vice President) and former Board of Education member Andrew Choffo. 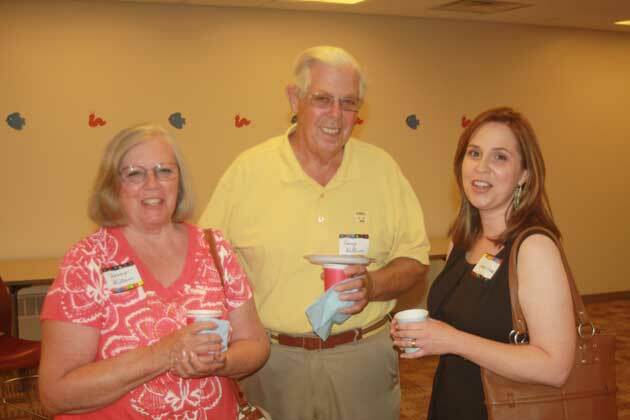 Rotary of Parsippany-Troy Hills President Maury Mader, Scott Rixford and Rotary Secretary Peggy Mader have an opportunity to chat during the event. 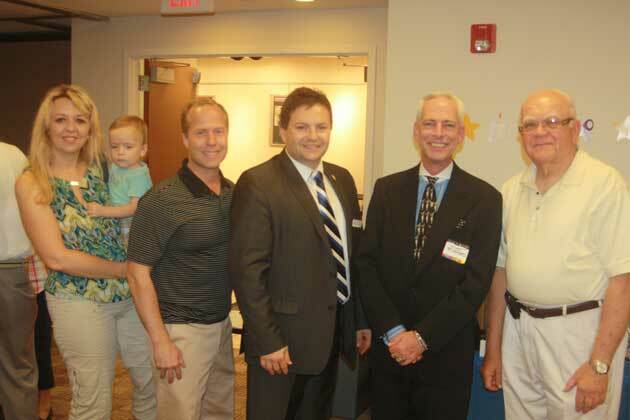 Ildiko Peluso, Board Member of Parsippany Area Chamber of Commerce, Councilman Dr. Louis Valori, Council Vice President Robert Peluso, Scott Rixford and former Parsippany-Troy Hills Mayor Joseph Weisberg gather and chat about Parsippany and the school system. Little Robert gets to meet the Superintendent at a very young age. 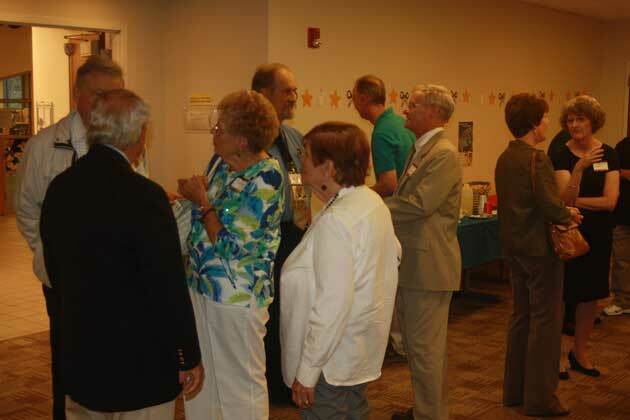 Residents of Parsippany, diginatries and members of social groups gathered at the Library to meet the new Superintendent of Schools, Scott Rixford.